Preparation and filing of tax applications with State and Local revenue departments. 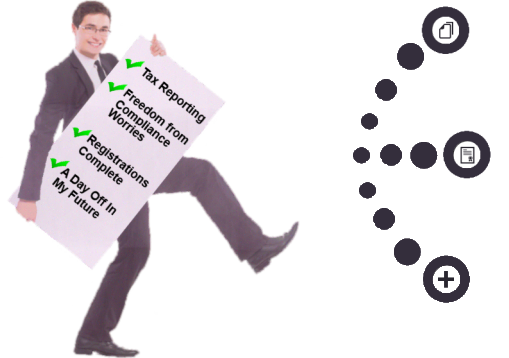 Preparation and filing of all transactional tax reports with federal, state and local taxing authorities including sales, utility, excise, gross receipts, FET and property tax. We also track all transactional tax billings, payments and accruals on a monthly basis which assists our clients in making sure their Balance Sheet Transactional Tax Liability section remains in balance. Preparation and filing of all reports with the state public utility commissions, FCC, and other governmental or quasi-governmental agencies charged with oversight of the various telecom surcharge and assessment funds, including 911, USF, High Cost Fund, Telecommunication Relay Services, Telecommunication Infrastructure, etc. Preparation and filing of applications for certification with the state public utility commissions. Preparation and filing of tariffs and price lists with both the state public utility commissions and the FCC. Preparation and filing of revisions to filed tariffs on an ongoing basis. Revisions may be due to product and rate changes or changes made necessary by Commission Order.